mysterystar added a movie review. "Sometimes, the thing you've been looking for your whole life is right there beside you all along." (Quill) Might I just start with saying, this movie was absolutely phenomenal! The effects (for both the fight scenes and the many aliens featured in the movie) were fantastically done; there were many times where I found myself staring at Rocket, enthralled by how realistic and fluid the movie's animators made him. The effects weren't the only thing that made this movie stand out: the characterization in this movie was heart moving. To see Quill grow with who he meets, Yondu and Rocket bond, and Quill and Gamora working on their relationship was entertaining and heart moving. By the last twenty minutes, I was just crying over the characters and the story. Moving onto the plot, it had many twists I wouldn't have expected, and caused me to sit at the edge of my seat the entire time. I would say that the only downside of the movie would be the fact that the humor seemed to have been lowered in exchange for the character development (which I personally don't mind at all!) All in all, this a great movie to go watch with friends (like I did), but I would not recommend this to younger audiences (or at least those that haven't been informed of the multiple curse words and more inappropriate subjects). mysterystar's movie review was featured in The Boss Baby. "He [The Boss Baby] carries a briefcase! Does no one else think that's, oh, I don't know, a little freaky?" 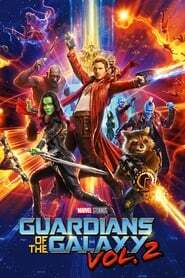 (Tim) Over the weekend, I went to watch this movie with a group of friends, looking to make fun of what seemed to be the worst movie that has come out for this year. We were all pleasantly surprised, however. What really turned the tide for me was the animation. The style was incredibly eye pleasing, and had small moments scattered throughout the movie in which it would change for dream sequences. The animation in those moments was alluring, and I would watch the movie again just for that. The humor is much better than the trailers make it seem. There were plenty of jokes that made me laugh out loud, much to my surprise, and one of the dramatic car chases featured had my friends and I laughing for a solid five minutes. The story and characters are what you'd expect. A bit cliched, but they all-in-all mean well. I found Tim's character ridiculously adorable and I couldn't help but to relate to his point of view as the movie went on. The Boss Baby's character was a bit tougher to agree with, but I found myself loving his character by the end as well. The story was standard, although I will not lie that there were a few twists throughout the movie that surprised me and brought smiles to my face. The ending was very heartwarming. I recommend this movie if you're looking for something comedic and cute to watch; if you're looking for more serious and driven movies, this isn't the thing for you. mysterystar's movie review was featured in Inside Out. "We've been through a lot lately, that's for sure. But we still love our girl. She has great new friends, a great new house. Things couldn't be better. After all, Riley's twelve now. What could happen?" (Joy) This movie is emotional- both literally and figuratively. It tugs at your heartstrings, it makes you cry of laughter, and it makes you sit at the edge of your seat, wondering what will happen next. 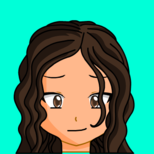 The movie centers around Riley and her five core emotions, and shows how Riley's big move from Minnesota to California changes her and affects her life, as well as plays with her emotions (pun intended). The animation is stellar. I was rewatching this movie on my TV screen, and I noticed with surprise than you could see each individual particle the emotion was made up of- a detail not needed, but one that goes well in the long run. The color palettes of each character, and settings are all eye-pleasing and amusing (places like Imagination Land bring back many childhood memories, I'm sure), and it's honestly impressive how nicely the animation still stands up, almost two years later. The story is another thing that didn't fail to impress. It's scattered with jokes for both adults and children to enjoy, and its filled with enough twists and turns to keep you compelled and wanting more. The cast and characters are all likable and relatable, which is definitely something that helped the movie and its story out. A wonderful movie for people of all ages, if (for whatever reason) you haven't watched it, this is a definite must watch. Warning: Bring lots of tissues- as cute as this movie looks, it really is quite the tearjerker. mysterystar's book review was featured in Library of Souls: The Third Novel of Miss Peregrine's Peculiar Children. “And it occurred to me, standing there, just breathing with her, quiet settling around us, that those might be the three most beautiful words in the English language. We have time.” (Jacob) I recently picked up the first installment of this series, and found myself hooked almost instantly. The writing system, the plot, the characters, and the added pictures are all.. well, peculiar, to put it together with one word. The main plot of the series is driven by Jacob Portman: a young teenager from Florida who thinks he's about the most ordinary boy to grace the world with his presence. However, that way of thinking is completely changed after a series of events sends him spiraling down a path of danger, love, and betrayal, all compiled in one. Soon, the young Jacob finds himself to be one of the few things that can save his friends from an untimely end. Might I start by saying that the character development in this book is absolutely beautiful. It was a thrill to read and see his character grow in ways you would never expect. His character isn't the only one I enjoyed reading about; there were several others (such as Emma, Browyn, Olive, and Millard) that evolved in ways that brought smiles to my face. Now, interesting characters isn't all this series has. The plot is so intriguingly written, not a single detail was spared. Although the ending, in my opinion, was a bit tame to what it could've been, it still brought honest tears to my eyes and filled me with satisfaction. Another thing that stood out was the writing style, and how it so cleverly included pictures. There was something so peculiar but obsessive about it- Ransom Riggs, author of the book, has surely caught my eye, and I vividly await any other books he may release. All in all, this is a terrific book series. I strongly recommend it to anyone who's willing to deal with dark themes, however, this is surely not a series for young audiences. mysterystar's movie review was featured in Kubo and the Two Strings. "If you must blink, do it now. Pay careful attention to everything you see and hear, no matter how unusual it may seem. And please be warned: If you fidget, if you look away, if you forget any part of what I tell you - even for an instant - then our hero will surely perish." (Kubo) I finally watched this the other day when I had free times, and ooooh boy was it worth it! Laika, the animation company behind this film, is known for their magnificent stop motion animation- and they certainly stepped up their game for this film. All the fights were fantastic and exhilarating; it's amazing what one can do with clay and computer effects. The amazing animation isn't all this movie has to offer! It has a fantastic story with plenty of plot twists that left me with my jaw wide open (some of which were for the better, others that left me in tears). The three main characters, Kubo, Monkey, and Beetle, were great on their own, and their little interactions were well placed by the writers of the movie. One of the best things in the movie has got to be the fact that it didn't have the happiest ending- a grim reminder that not all movies were sunshine and flowers. I seriously recommend this to anyone who didn't watch it because it might be too complex or too weird, a great watch! mysterystar's movie review was featured in Moana. "I am Moana of Motusi. You will board my boat and restore the heart to Tafiti." (Moana) Words do not being to describe how I felt about this movie. I cried, I laughed, I cheered on the characters during the final battle. The main plot centers around Moana, the future Chief of her Tribe, going off into the ocean (against her father's wishes, I might add) to find the demigod Maui. She's doing this due to the fact that her island is dying because of Maui. The plot is a bit typical- a hero and her sidekick go to fix something- but Moana pulls it off in a creative and unique way, and even has an amazing plot twist near the end that I honestly didn't see coming. The animation is absolutely stunning- Disney has really raised their standards. The islands, for the most part, were colorful and full of life, and the ocean, for being an ocean, was bright and friendly. The music was catchy and emotional- shout out to Lin-Manuel Miranda for writing many of the songs- and the characters, even the main antagonists, were surprisingly likable. All in all, an absolutely fantastic movie, and definitely my all time favorite. If I hadn't watched it in one of the final showings, I would have gone back and watched it in theaters many times. mysterystar's movie review was featured in Trolls. "I don't trust him. Who wears socks with no shoes?" (Branch) Trolls was, quite honestly, a really fun and cute movie. The plot: The peppy lead teams up with the grumpy lead to save everyone and fall in love along the way. The plot was, unfortunately, nothing special. There was nothing that made it stand out from the movies like Moana or Zootopia. There is a really cute side plot though, and honestly, I found Branch and Poppy's relationship really entertaining to watch. The animation, for not being Disney, is very good. The hairs, one of the main aspects of a troll, are fluid and realistic, as well as unique for all the main trolls. Everything looked soft and very hug-able (even the Burgens!). The music was okay- more original songs might've helped it stand out. The humor was more than good, there were several moments where I found myself laughing. Overall, a very fun and cute movie to watch on a day off. "Stay evil, doll face." (Deadshot) If I could choose one word to describe Suicide Squad, it would be.. disappointing, and that's putting it lightly. The plot was confusing and had too many characters, way more than necessary. The effects were mediocre at best, although the final battle did have me on the edge of my seat. Harley and Joker's relationship was.. interesting, at its best. Harley herself was an okay character- sure, she took down a few baddies, but her comments bordered more on annoying than entertaining at times, and her main personality trait was 'In love with Joker.' I may be one of many, but I stand with my opinion when I say Suicide Squad was a bad movie. I probably won't watch this again. Deadshot did make the movie worth watching, his snide comments and backstory was just enough to keep me from leaving halfway through. "When you've reached rock bottom, there's only one way to go, and that's up!" (Buster Moon) I came into this movie with low expectations. The ads made it seem terrible and cliche, and all the characters looked incredibly annoying. This movie left me with a satisfied feel. The movie centers around Buster Moon, a koala who owns a theater that's on its last strings. In a desperate attempt to save it, he starts a singing competition that attracts animals from far wide. I found all the characters (EXCEPT THE MOUSE) to be likable enough. Although the songs are all covers, they all have a unique spin on them. There were a few plot twists, and I couldn't stop myself from dancing at their final performances. The animation was a bit lackluster- everything seemed kinda lifeless. In the end, it was a cute and entertaining enough movie, nothing special. 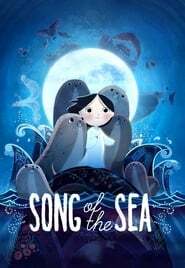 mysterystar's movie review was featured in Song of the Sea. "My son, remember me in your stories and in your songs. Know that I will always love you, always." (Bronagh) I watched this movie over winter break, and honestly, I was impressed. I had relatively high expectations, and this movie surpassed them. The story centers around Ben, and his little sister Saoirse. Unbeknownst to him, Saoirse is half-Selkie, a mythical creature that can turn into a seal. Ben and his sister are taken from their home on an Island, and they must do their best to get back. The animation was stunning. 2D is rare to see nowadays, and this movie used 2D in a beautiful manner. The style was unique and adorable. The voice actors fit each character perfectly, and the plot was full of many good plot twists. It was a cute and humorous movie, and it definitely made its way to my top five movies. If you have time and you find this movie, watch it. The ending is a tearjerker, but ends pretty happily. I cried for a few minutes after it ended.